We provide residential and commercial electrical services. Specializing in generator installations and remediating code violations for new and existing properties, commercial or residential. Established near Detroit, Michigan - we are licensed, bonded and insured. Call or email us today for free estimates and 24 hour same day service! Since 1995, the highly trained electricians at SK Electric have been offering comprehensive residential and commercial electrical solutions to the Detroit area. 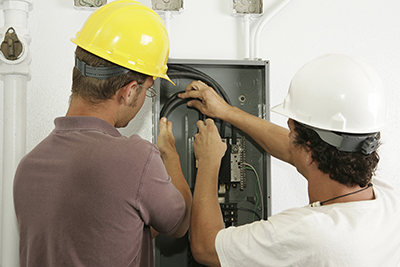 Our wide range of services includes electrical repairs, upgrades, and installations. With our state-of-the-art technology and attention to detail, we take the time to understand your electrical system and help you make informed decisions regarding the best electrical solution for you. Contact us today and learn how we can brighten your day! We’re committed to safety, efficiency, and reliability in every job we perform and with over 20 years of experience in electrical contracting, we have the skills and expertise to guarantee proper electrical installations and upgrades for your home or business needs. By concentrating on quality and service, we have forged and maintained long-lasting relationships with our customers over the years. We offer a full line of services with a focus on high quality workmanship and energy-efficient, reliable solutions. Contact SK Electric today for all your residential and commercial electrical needs!